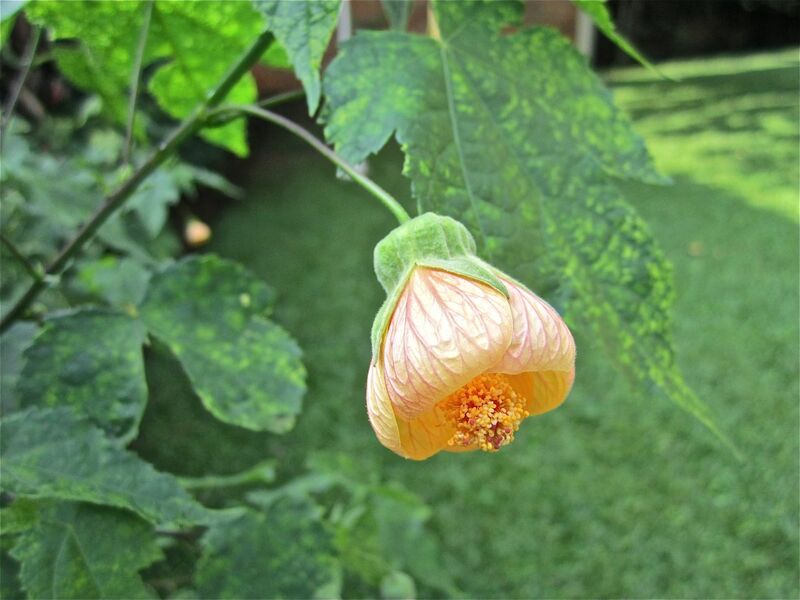 Today, I took a closer look at my Abutilon or Chinese Lantern bushes. 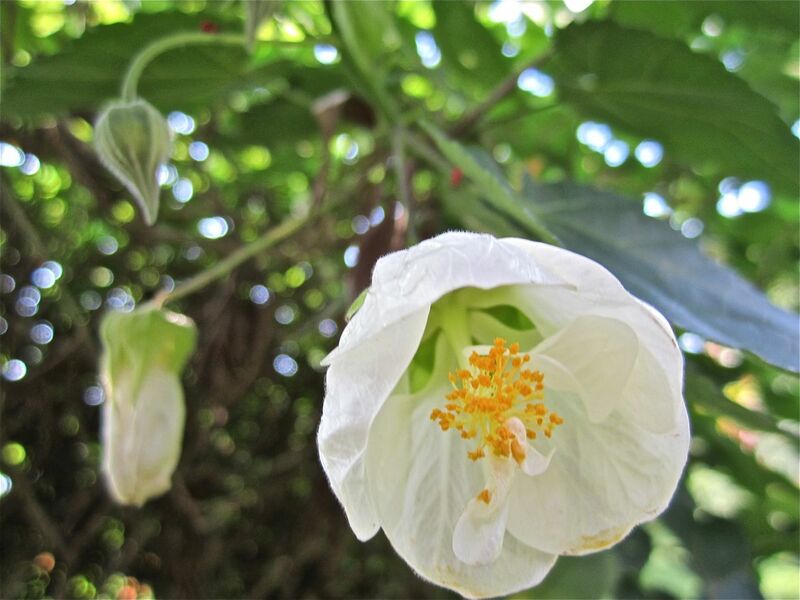 Compared to many of the other tropical or semitropical plants in the garden, the Abutilon are rather quiet. The flowers are neat and smallish and hang down like bells. 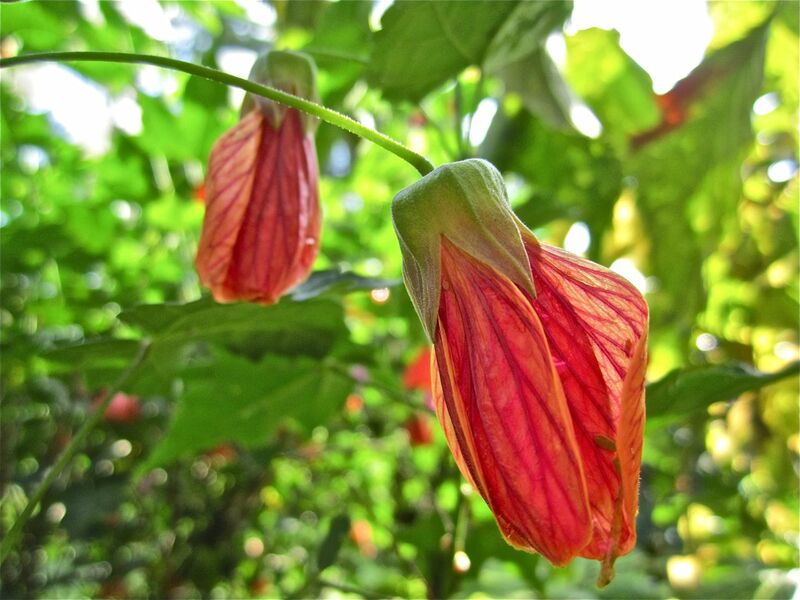 Abutilon are also sometimes called Flowering Maples because of their leaves. 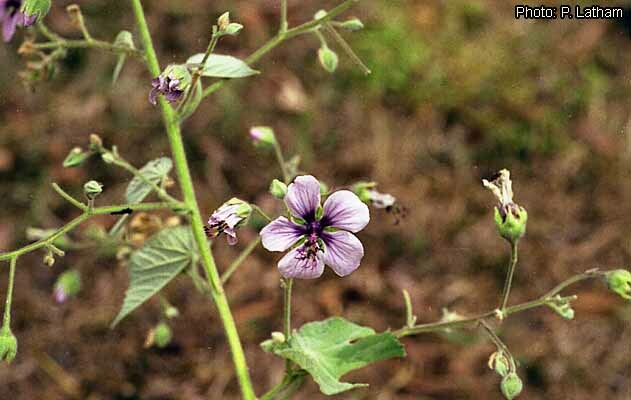 This variety has white blooms with pink veins. A showier bush with reddish-orange blooms. 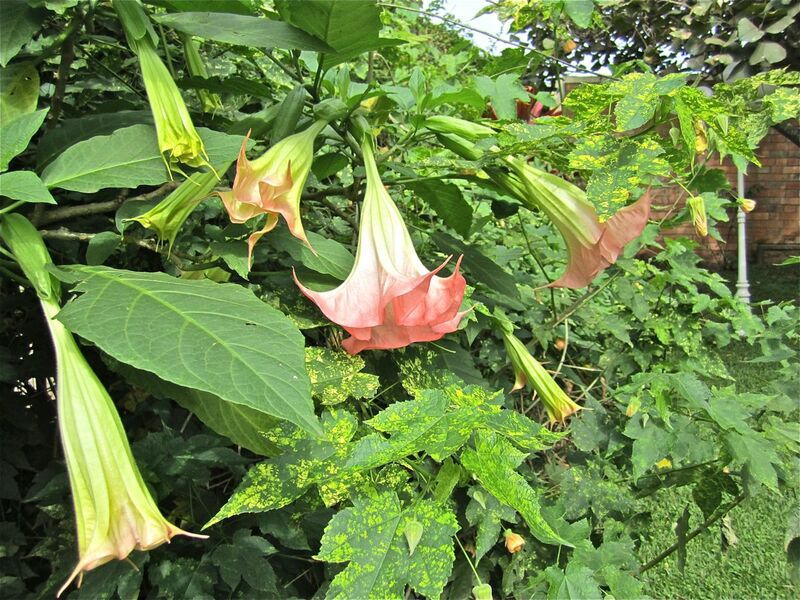 This bush has variegated leaves and is rather overshadowed by a pink Brugmansia or Angel’s Trumpet. An Abutilon with variegated leaves beside a Brugmansia. A coral bloom. 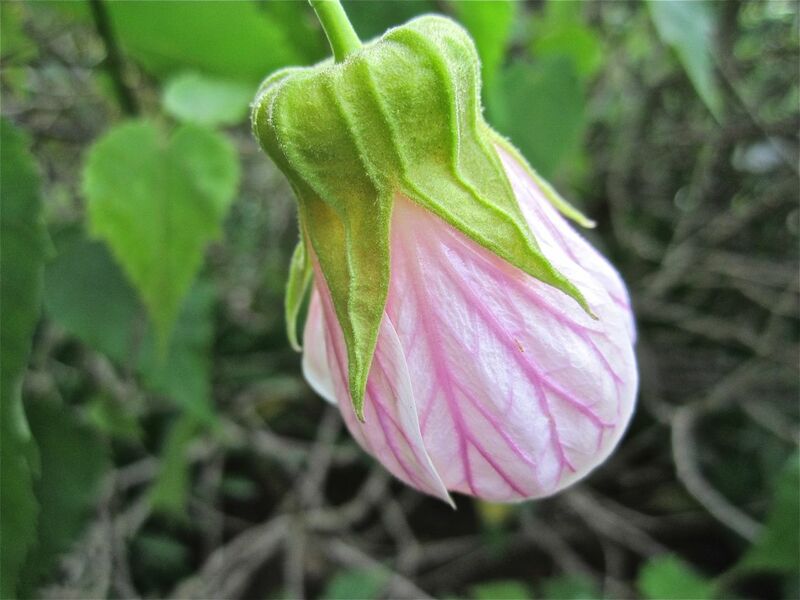 Another name for the bush is Chinese Bell Flower. Closeup of a coral flower. 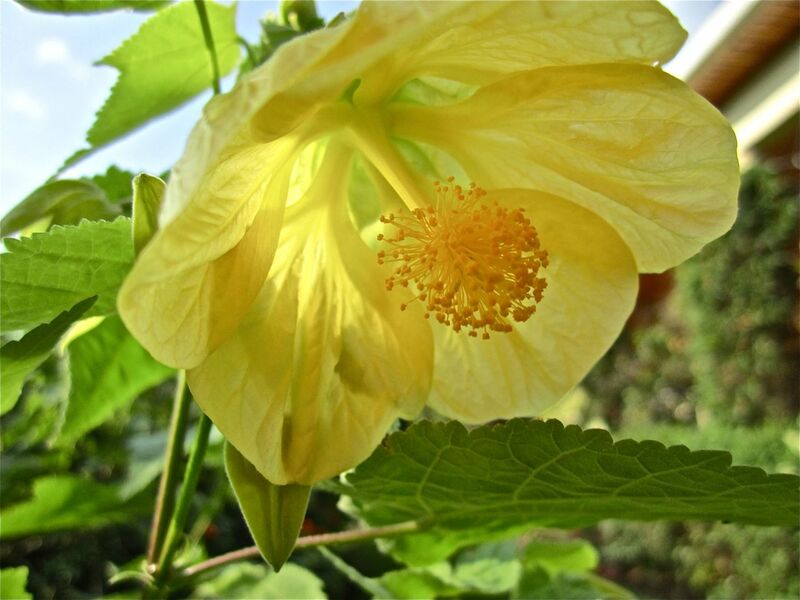 I think my bushes are Abutilon x hybridum, descended from South American varieties and brought here by expats. 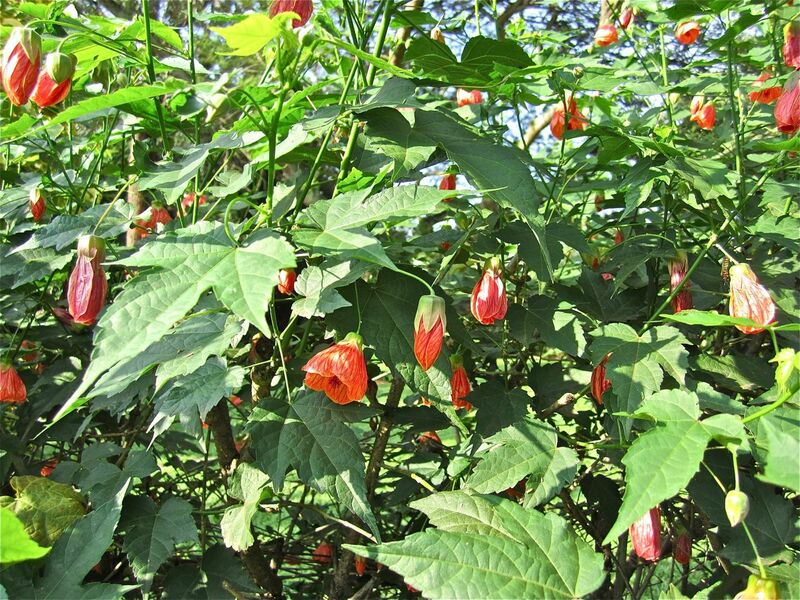 Rwanda has one native variety, Abutilon bidentatum Hochst. ex A. Rich., which is not very showy. 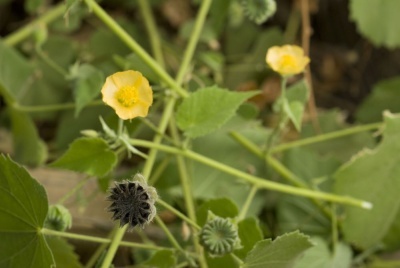 Abutilon bidentatum. Photo via http://westerndesertflora.geolab.cz. 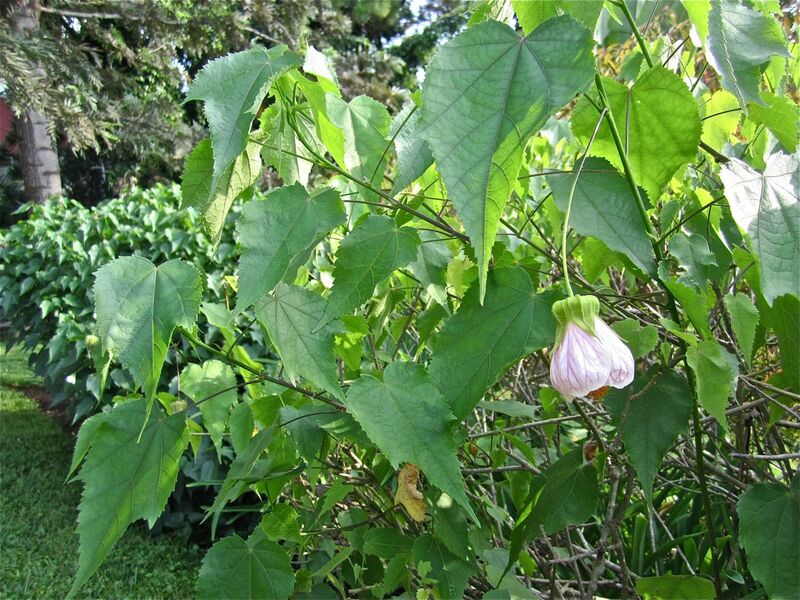 Another species, Abutilon longicuspe, with purple flowers, is also native to east and central Africa. Please visit May Dreams Gardens for more Bloom Day postings (the 15th of every month). 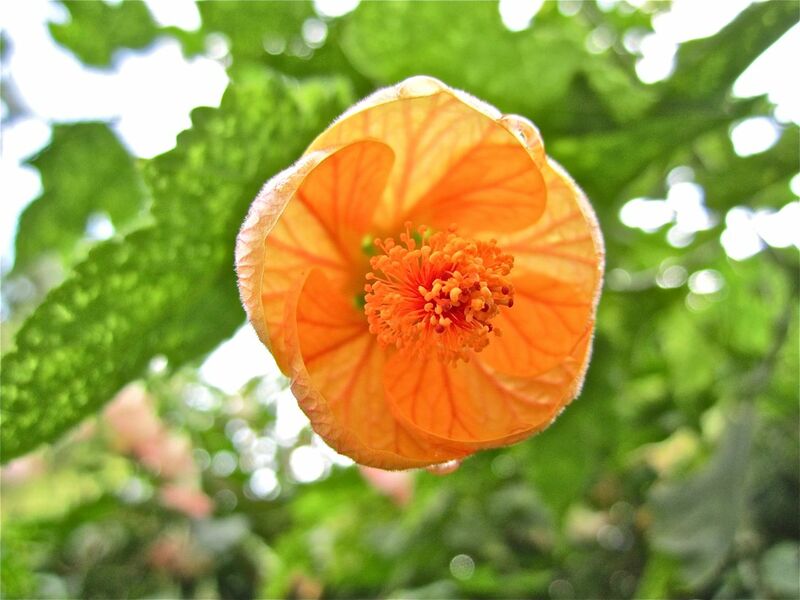 Abutilon longicuspe. Photo via http://database.prota.org. Wow! Those don’t even look real! What beautiful colors. These flowers would make an amazing cloth pattern with those colors and veins…so delicate. Your photos came up so much quicker today. I thought I’d have to wait about 15 minutes or so like usual but by the time I scrolled down to the bottom reading the text ALL the photos were there! 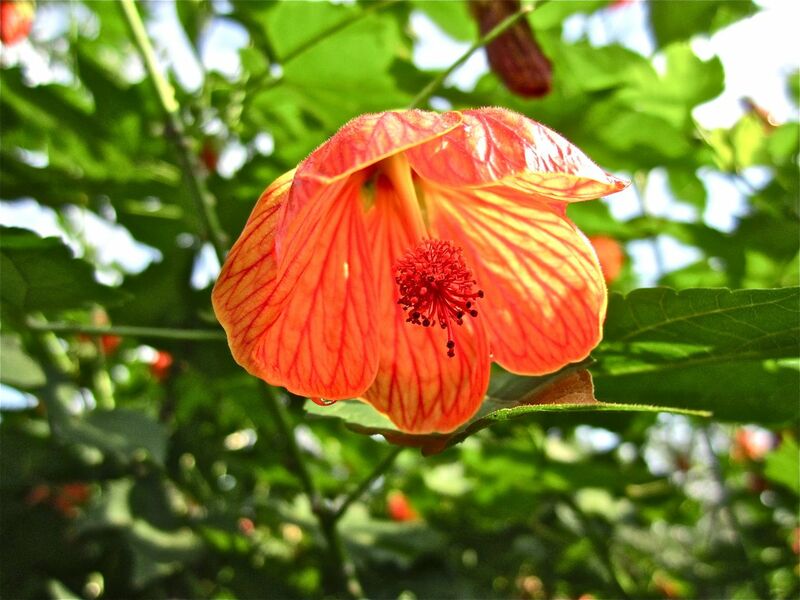 you had me at Abutilon, that is an amazing and beautiful flower. Thanks for sharing. 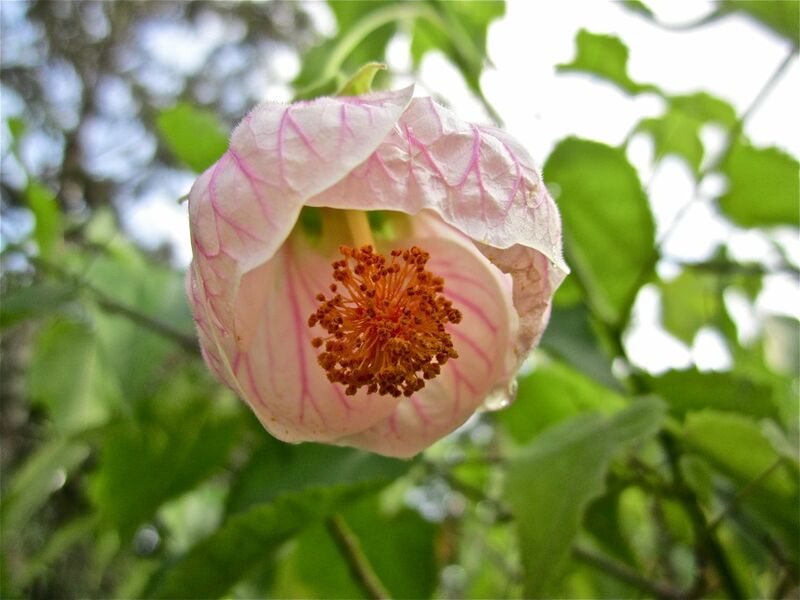 Somewhere in my garden is an indigenous pink Abutilon. Must look for it tomorrow.